How far would you go to protect the ones you love…when they may not be yours to protect? When Josh’s longtime partner, Grace, dies in a tragic accident, he is left with a mess of grief—and full custody of her seven-year-old son, Logan. While not his biological father, Josh has been a dad to Logan in every way that counts, and with Grace gone, Logan needs him more than ever. Wanting to do right by Logan, Josh begins the process of becoming his legal guardian—something that seems suddenly urgent, though Grace always brushed it off as an unnecessary formality. But now, as Josh struggles to find the paperwork associated with Logan’s birth, he begins to wonder whether there were more troubling reasons for Grace’s reluctance to make their family official. Tightly paced and brimming with tension, Her Secret Son is a heartbreakingly honest portrait of a family on the edge of disaster and a father desperate to hold on to the boy who changed his life. Order it today by using the buttons below. 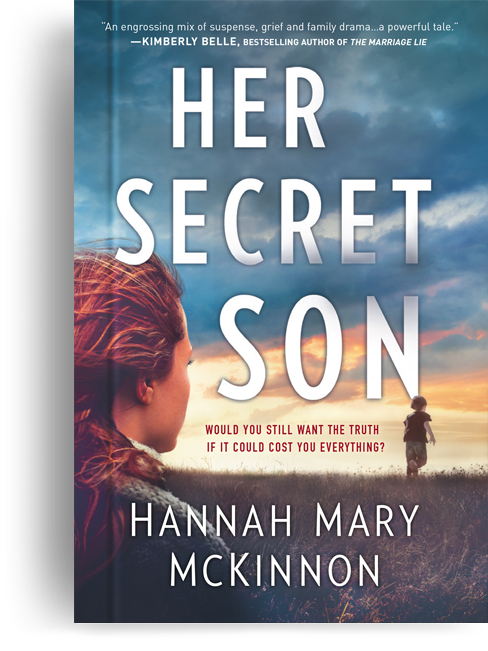 “Wonderful writing and characters that draw out our emotions, Her Secret Son is simply a great read.” — Heather Graham, New York Times bestselling author. “You won’t be able to put this book down until you’ve unraveled the mystery surrounding this family. And you will root for them with every page.” – Robyn Harding, internationally bestselling author of Her Pretty Face.